Investigators could find no evidence that RUC officers were complicit in the murder of a colleague, or that they protected the IRA killers from prosecution, the Police Ombudsman (PONI) has said. Constable John Larmour, 42, was shot dead as he worked behind the counter of an ice cream parlour on Belfast’s Lisburn Road on October 11, 1988. When a previous PONI report on the murder was published in 2008 it contained a finding that the original police investigation was “not thorough,” and that not all of the available information had been passed to detectives at the time. Constable Larmour’s son Gavin and John’s brother George have spent many years researching all aspects of the fatal shooting – and have repeatedly claimed that a number of alleged investigative failings point to the involvement of police agents who are being protected. The two men subsequently brought new information to the attention of PONI, as well as making separate claims implicating RUC Special Branch officers in the murder. The allegations drew comparisons and highlighted links with a series of other killings and terrorist incidents over a period of almost two decades. They also looked at papers relating to the original murder investigation, intelligence reports and forensic files held be police. Police Ombudsman Dr Michael Maguire said: “We found no evidence to suggest that Special Branch, or any other element within the RUC aided, abetted, counselled or procured John Larmour’s murder, nor that they could they have prevented it. PONI also considered a complaint that Const Larmour and colleagues were prevented from intervening in a terrorist attack in which an off-duty UDR soldier was killed. 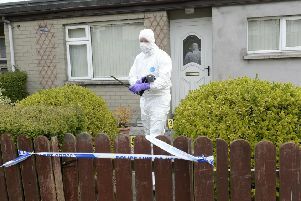 Officers who were working with Const Larmour at the time were said to have “had little or no recollection of the incident” and that there was a general view that their Operational Support Unit (OSU) in Lisburn unit would not have been tasked to such an incident. One member of the Larmour family also alleged that Special Branch officers – who had been secretly recording meetings in an IRA ‘safe house’ – had heard Const Larmour’s murder being planned but allowed it to go ahead. They also alleged that officers listened afterwards, heard a number of men discuss what happened, but rather than passing this information to investigating detectives, used it to recruit one of these men as a police agent. “Police have told us they have insufficient records to establish if the covert listening and recording referred to took place,” Dr Maguire said. • Many of the Larmour family allegations stemmed from a belief that Constable John Larmour had a “fraught relationship” with Special Branch. During the course of the ombudsman (PONI) investigation it was found that “something of a fractious relationship almost certainly developed” between the two. However, it reports that the weight of evidence did not support an allegation – a charge of perverting the course of justice – made against Const Larmour was initiated by police in an effort to force him out of the police. PONI also said investigators found no evidence to support an allegation that the IRA murder of a retired police officer, whom it was alleged was going to provide a member of the Larmour family with sensitive information, was linked to the Const Larmour’s murder. In 2016, John Larmour’s brother George published a book called ‘The Killed The Ice Cream Man’. It recalls how John had agreed to look after the shop for a couple of week while George and his family took a holiday in Spain. This was a new business venture for George and the shop – Barnum’s World of Ice Cream – had only opened a few months earlier. Writing in the News Letter in 2016, Const Larmour’s son Gavin said: “In April 2008 the ombudsman’s office released a press statement having upheld my complaints after several years of investigation.